Need a lawyer for a rear-end accident in Walker County? If the other driver who caused your accident was doing any of the above, then you deserve to be compensated for your injuries. Our firm proudly serves car accident and injury victims in Jasper and all throughout Walker County. If you have been injured in a rear-end accident that was not your fault, let us know about it and find out what we can do to help you. Here at the firm we have experience with all types of motor vehicle accidents, but the ones that we see most often are rear-end accidents, or tailgating accidents. Tailgating means that the rear driver is not leaving enough space between their vehicle and the vehicle in front of them. This is a very dangerous way to drive because if the front vehicle breaks or comes to a screeching halt for any reason, the drivers and passengers in both vehicles can suffer serious neck, back and shoulder injuries. In Alabama tailgating is considered to be negligent and if you end up hitting the car in front of you then you are considered liable for the damages. If you were a driver in the front vehicle and you were hit from behind, then the at-fault driver should be held accountable to pay your medical bills and other financial and non-financial damages. There are two different ways that you can be eligible for compensation when it comes to rear-end accidents. You were in the front vehicle and you were rear-ended and are not at fault for the accident. You were a passenger in the rear-vehicle and your driver was tailgating. If you happened to be riding as a passenger and the driver was tailgating right before they collided with another vehicle, then you may have the right to seek restitution. This remains true if your driver is considered 100% at fault for the accident. Also any soft part of the body including the tendons, muscles and ligaments are susceptible to injury in rear-end accidents. In many cases the injuries do not surface immediately, many people do not experience serious pain until one or two days later, sometimes more. At Warren & Associates, LLC we have been serving Alabama accident victims for over 23 years. We are a part of The American Trial Lawyers Association and the Alabama Association for Justice. We are 100% committed to protecting the rights of accident and injury victims and we have successfully recovered millions for past clients. We handle injury claims of all severity, from minor injuries, to catastrophic injuries, even wrongful death. We feel that it is a privilege to help our clients and their families through this difficult time, so let us be your legal lifeline. We can handle the paperwork and deal with the insurance companies so that you can focus on getting well. Our firm offers a free initial consultation to every potential client, so be sure to call us today at (205) 221-1044. 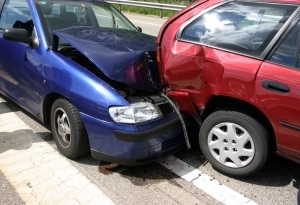 Contact a Jasper car accident attorney from our firm today to get started on your case.